Devour even the thickest steaks during any outdoor adventure with the Coleman Rugged Stainless Steel Carving Set. 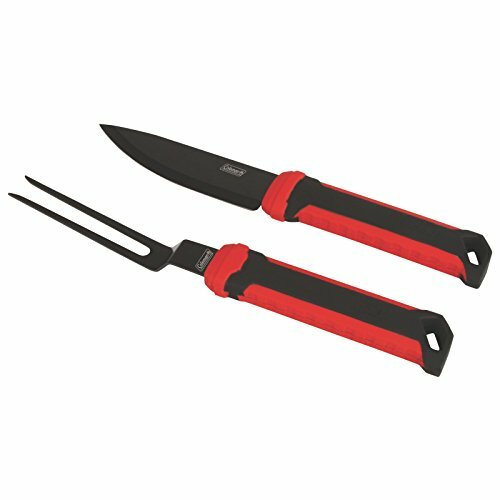 The durable stainless steel tines and blade on the carving fork and chef knife easily grab and slice through your meat. With the comfort-grip handles you don't need to worry about them slipping from your hands while cutting. When you're done you can put them in the dishwasher for easy cleaning.